These brilliant new angle tilt banksticks feature a unique tilt 3 inches from the end of the bankstick. This angle tilt can be adjusted and secured to any position, great for rod rests, nets and accessories especially on difficult ground where maybe you have no choice but to have your bankstick at a less than ideal angle. The banksticks are also telescopic (Extends from 60cm to100cm (24-40 inch) and feature arrow point. Converts a bankstick or tripod into a simple photographic stand. Multi-angle camera adaptor designed to give you optimum adjustability. 360 ball & socket joint allows camera to 'float' in any direction for precise framing. The very first commercially produced solid pointed banksticks. Original Gardner design - copied by many but never bettered. This handy little gadget is designed to fit into a bankstick top and provide a large surface area to help push or hammer the bankstick into the ground. Ideal for improved 'locking' between buzzer bars and banksticks. For more information click on the image. Used to separate swing arm indicators from buzzer heads to make on/off switches and jack plugs more easily accessible. Alternatively they can be used as rod height spacers. Extends from 3ft up to 5ft. Extremely tough long bankstick - Use in combination with the Gardner Triad as a weigh station or to support an umbrella or Brolly. Very robust and stable even when fully extended. We designed this tripod adaptor primarily as a rock solid weigh station but with an extra stud in the rear for increased versatility. with a long bankstick on this rear stud and long extending front legs you can create a high rod position to keep lines out of the water at range or with the beachcaster floater rig. 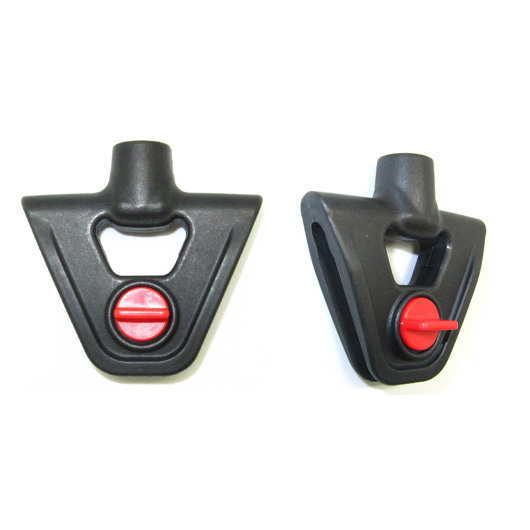 The unique Kwik-Lok screw will make sure that your buzzer bars, rod rests or whatever else you use will be aligned and tightened in seconds, without coming loose with time, by simply turning the thumbwheel until everything is tight. The Sliding Non-Twist inner section is shaped like a D to prevent twisting. High Quality Aluminium Bank Sticks. These Aluminium Bank Sticks have a length of 53cm Closed and 85cm when extended. The needle tip makes inserting them into hard ground a lot easier than regular banksticks. These cheap Bank-Sticks are made from aluminium with a yellow plastic rod rest. 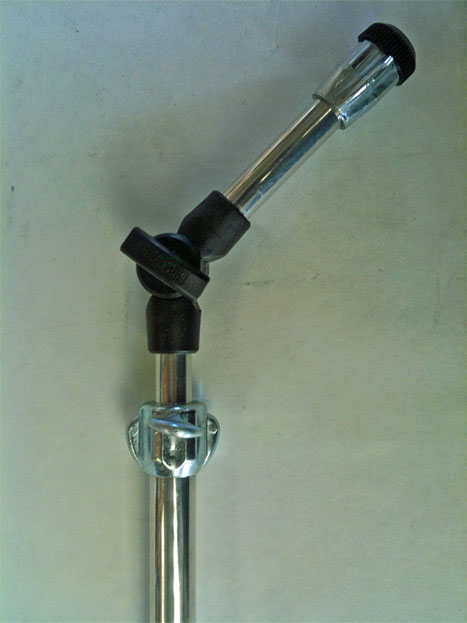 You can easily adjust and lock the Rod Stands according to your desired length by simply twisting the grip lock. These Banksticks have a carbon top part and a carbon finish aluminium bottom part. You can easily adjust and lock the Bank Sticks according to your desired length by simply tightening the screw on the bottom part. Now it's easy to use alarms on your existing stands or rod rests. Fits the Sensation RST119cm and most other rod stands. Simply slide the adaptor over the rest and tighten the screw to hold it firmly in place. The thread will accept any type of alarm.